You know what is the most often that i eat in every week? Yeah~ i almost eat third or forth a week at there. So i am so excited when i received this invitation, food tasting of their new launches White curry series, Oh My God! What is my favourite White curry before this? There are only instant noodles selling in market but no restaurant is serving it. So my answer is MyKuali~ the Top 1 best instant noodle of all time 2014 by The Ramen Rater. I believe mostly of you is choosing this also right? 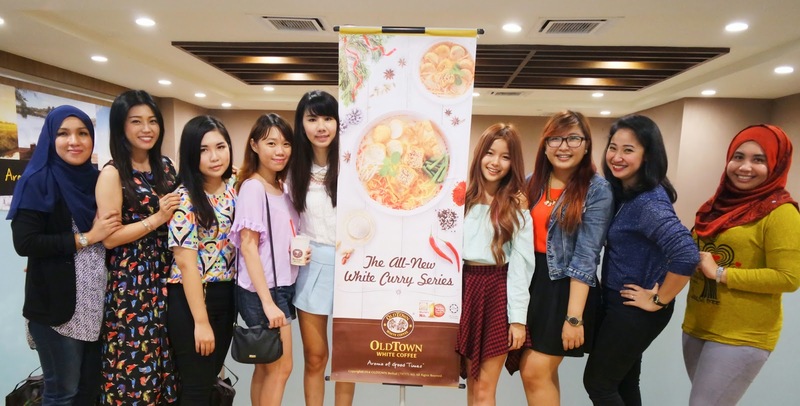 OLDTOWN White Coffee, the largest local white coffee chain in Malaysia will bring you a good news which their white curry series promotion is carried out in partership with MyKuali famed for their MyKuali Penang White Curry instant noodles product. 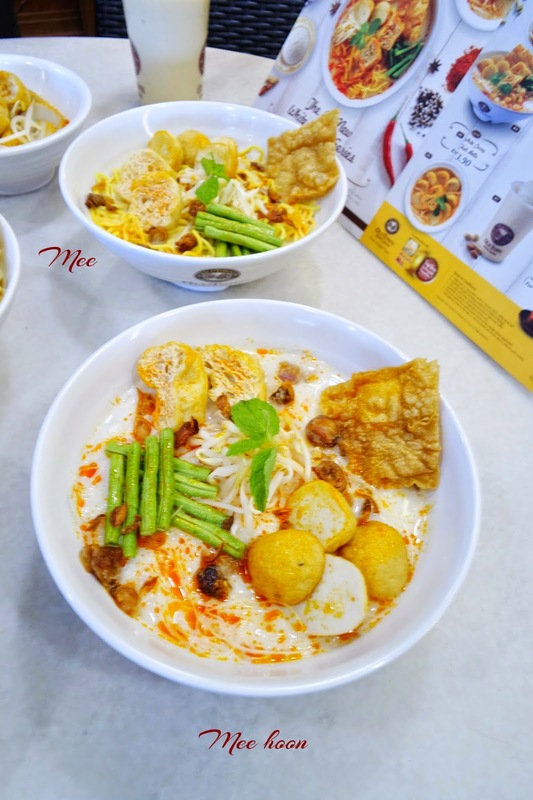 Combining OLDTOWN's in-house special soup base and noodles,with MyKuali's white curry paste, this is a superb combination! 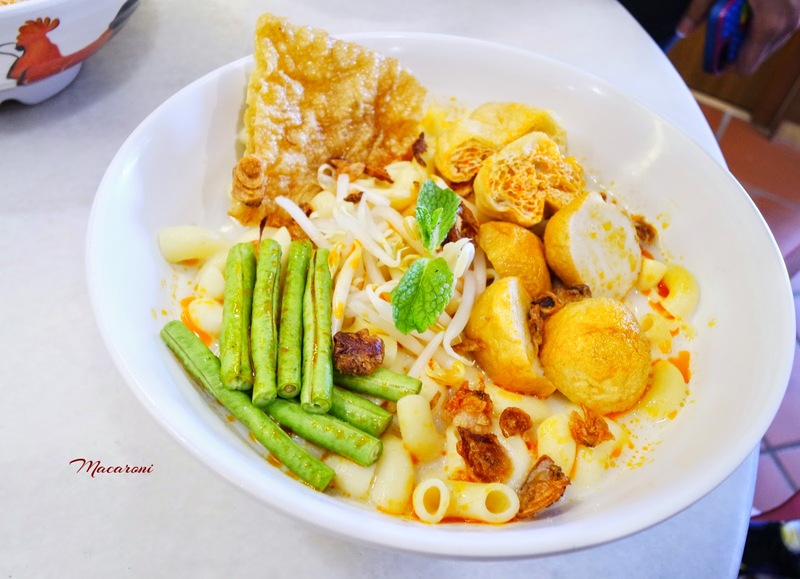 OLDTOWN's white curry series provides a range of 5 noodle variants : Mee , Meehoon, Macaroni, Pan Mee and Hor Fun. (Pan Mee and Hor Fun is made by their own factory's recipe). 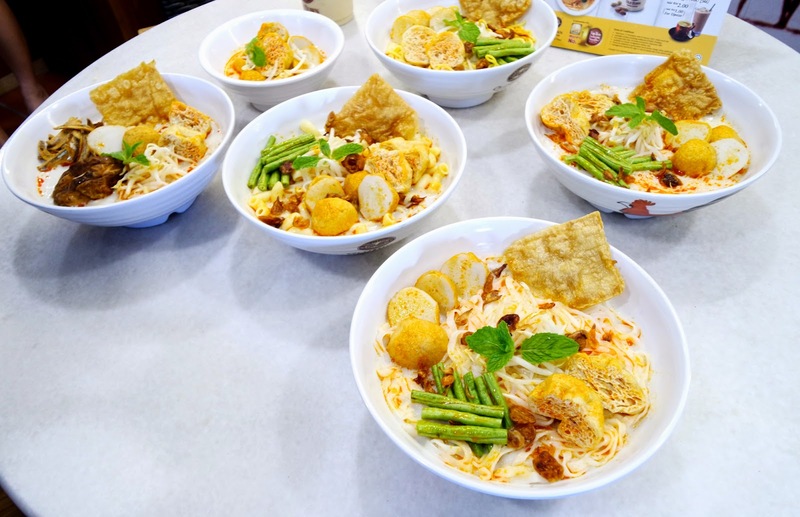 Prices is starting from RM 7.90 for a bowl of White Curry Mee. Pan Mee is my favourite within this 5 noodle variants. So delicious!!! 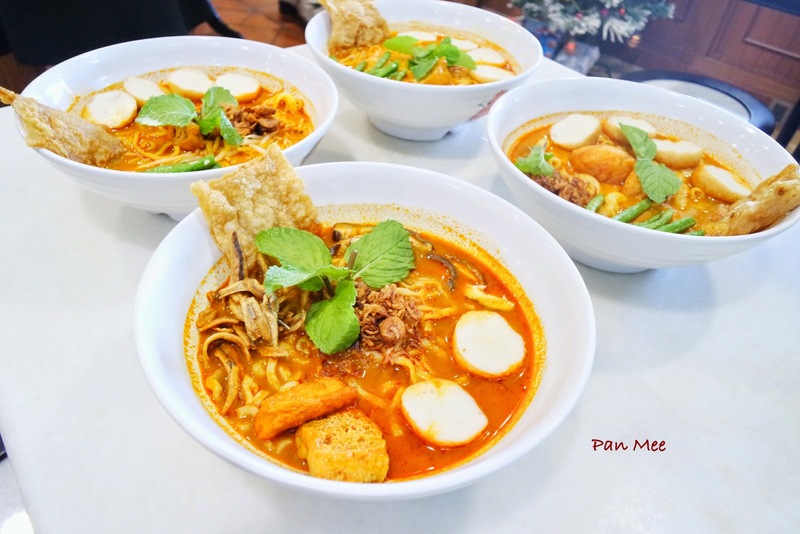 !Their Pan Mee is not similar with we eat at Pan mee shop, their Pan Mee more to like thinner and elasticity.When pan meet meets white curry soup, this is the prefect match. 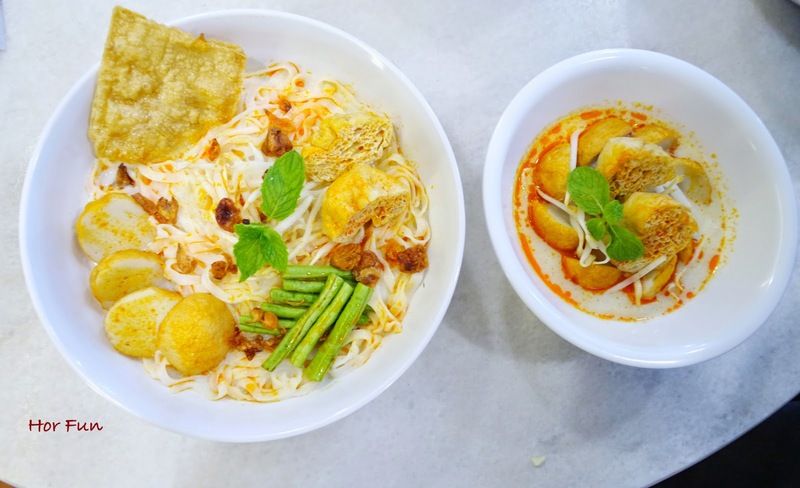 You can fully enjoy the taste of white curry on every sip of Pan mee. Side dish of White Curry series ~ White Curry Fish Balls ( from RM 3.90 ). To cooling down your hot tongue after spicy white curry, a new drink made available just for this White Curry series ~ Peanut White Freezy. 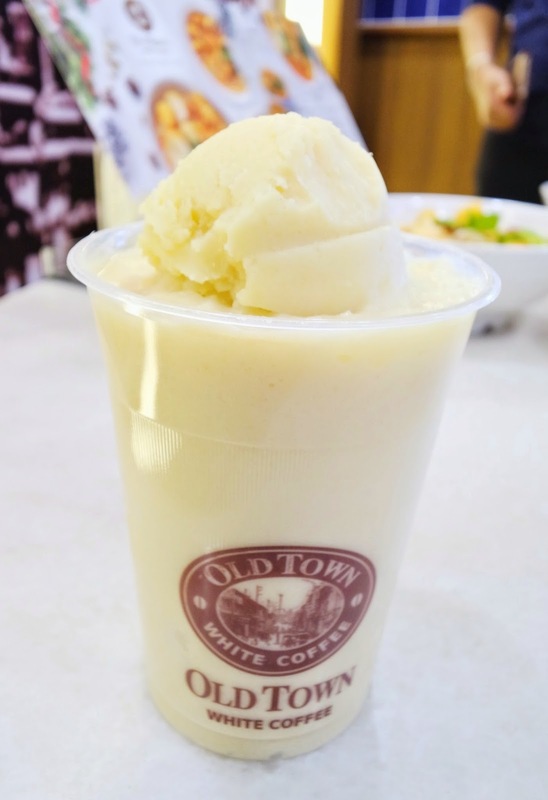 This creamy cooling drink topped off with a scoop of vanilla ice cream and soya based peanut drink.If order this as ad Add-On, price : RM 4.60 (Ala Carte price : RM 7.80). 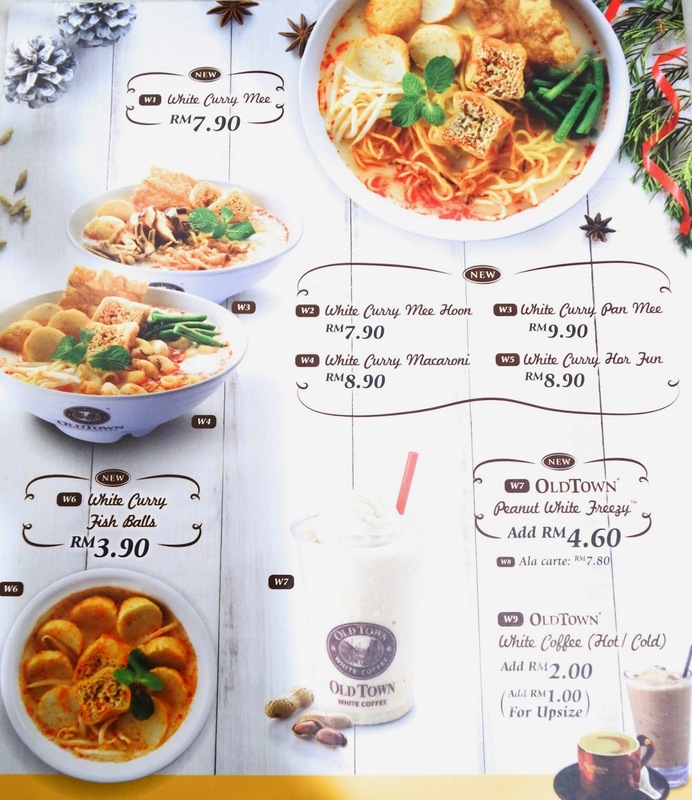 Of course always not forget their OLDTOWN coffee lovers, signature white coffee is available as an Add-On to any White Curry Noodle variant, RM 2 for regular size and RM 3 for an upsize version. Pricing list of OLDTOWN White Curry Series. 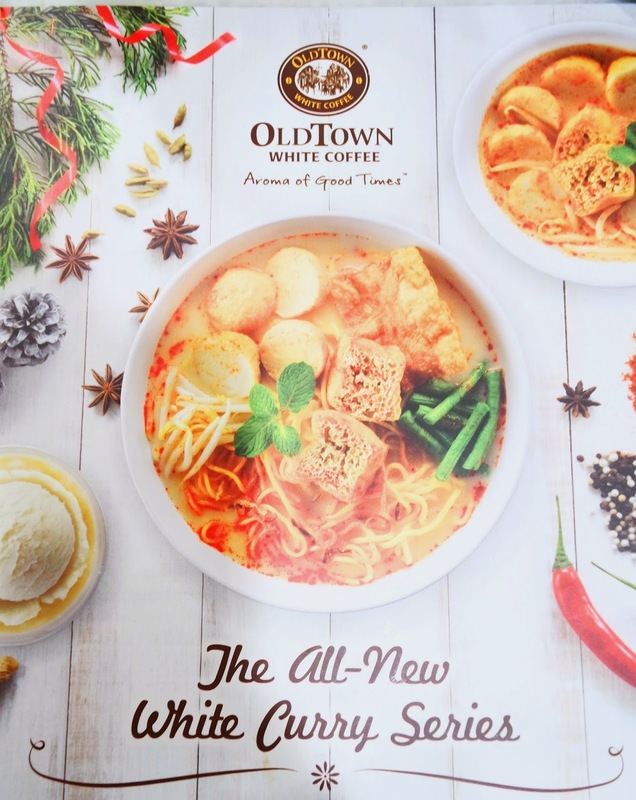 Once again, Please take note that OLDTOWN White Curry series promotion will begin in Peninsular Malaysia only from 17th November 2014, and will formally end on 31st January 2015, or while stocks last. So do not miss this chance ok? mark it down at your calendar!